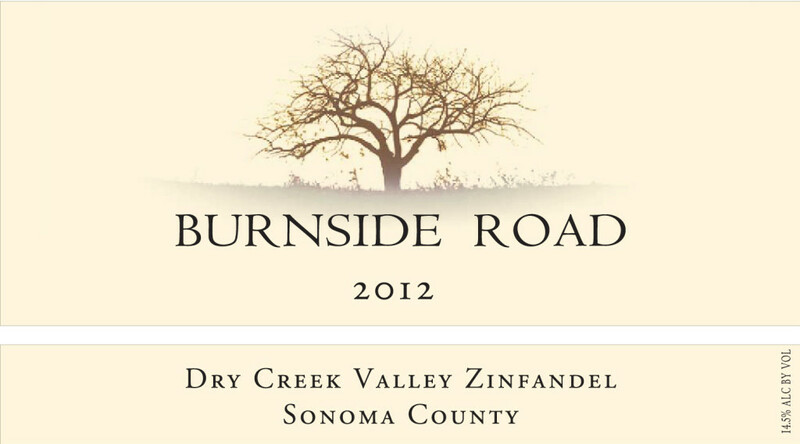 Our 2012 Burnside Road Zinfandel fruit was sourced from a vineyard located in the northern hills of Dry Creek Valley. The vineyard is on the west side of the Valley just south of Lake Sonoma. This hotter area produces Zinfandels with darker fruits, and more chocolate like flavors. The wine was aged in French oak for 16 months prior to bottling. The resulting wine offers intense aromas of jammy boysenberry, cocoa and minerals. The mouth feel is rich and vibrant with a wide array of deeper, dark fruits. A delightful finish of slightly dusty cocoa powder lingers. We recommend pairing this wine with hearty dishes such as braised short ribs or beef tenderloin.